Everyone is at risk of type 2 diabetes…everyone. Over 80% of the American population is currently in an insulin resistant scenario. According to Dr. Wes Youngberg, Clinical Nutritionist and Lifestyle Medicine Specialist, an insulin resistant scenario is where the pancreas is producing a ton of insulin to keep blood sugar normal. But, according to Youngberg, this just isn’t cutting it, the pancreas can only do so much – we are in big trouble. Read these statistics and allow the reality to sink in deep. One out of two people ages 40-49 has pre-diabetes. One in three people in the age range 60-74 has pre-diabetes. People over 75 years of age have a 75% chance of having pre-diabetes. 70% of all people with pre-diabetes will eventually get full-blown diabetes. 9 out of 10 people with pre-diabetes don’t know that they have it. The Centers for Disease Control and Prevention 2017 Diabetes Statistics Report found that 30.3 million people are living with diabetes. 90%-95% of all diabetes in the United States is type 2, also known as lifestyle diabetes. More than 1.4 million new cases of diabetes are diagnosed each year. A child has a 1 in 7 chance of developing diabetes if a parent is diagnosed before age 50. Women who are diagnosed with gestational diabetes have a 35%-60% chance of developing type 2 diabetes within 10 to 20 years. 90% of people with type 2 diabetes are overweight or obese. Worldwide obesity has tripled since 1975. There is a silver lining, and we can all be grateful for that. Everyone with pre-diabetes and type 2 diabetes can have a second chance at healthy living. There is no time like the present to carefully consider the value of this second chance…it is HUGE! You are not destined to live with pre-diabetes or type 2 diabetes and all of its complications for the rest of your life. You are not doomed to suffer from neuropathy, high blood pressure, glaucoma, heart disease, ulcers, amputations, infections or obesity. You can claim back your life. There are two very basic building blocks to good health and longevity. These are; eat good food and move. Sounds pretty simple, doesn’t it? First of all, we all have to eat so why not eat good food. We all have to get from one location to another from time to time, so why not move our body to get there? If we take a look around the world, we see the lowest rates of pre-diabetes and diabetes in places where people eat whole, unprocessed food from the land and engage in moderate, consistent physical activity. As Dr. Weston Price, a Cleveland dentist who has been called the “Isaac Newton of Nutrition,” found when he traveled the globe, people who eat a clean, culturally specific diet become sick when western food is introduced. Those that ate traditional diets had not only healthy teeth but were overall healthy and not suffering from any of the so-called lifestyle conditions we see today. Good examples of this are the Pima Native Americans in Arizona, the Micronesians in the Island of Nauru and the Marshallese in the Marshall Islands who were all once very healthy and free of diabetes and obesity. The painful reality now is that nearly 30%-50% of their adult populations have type 2 diabetes. Asian countries used to have very low rates of diabetes. Now 60% of all type 2 diabetes cases are in Asia. A little over 30 years ago researchers were keen to find out what would happen if they took obese and diabetic aborigines, living in the city in Austrailia and eating a mainly western diet and put them in an isolated location where they would live off the land and eat in a traditional fashion. After seven weeks, those that were participating in the study lost an average of 18 pounds and dramatically lowered their blood sugar, especially after-meal blood sugar. 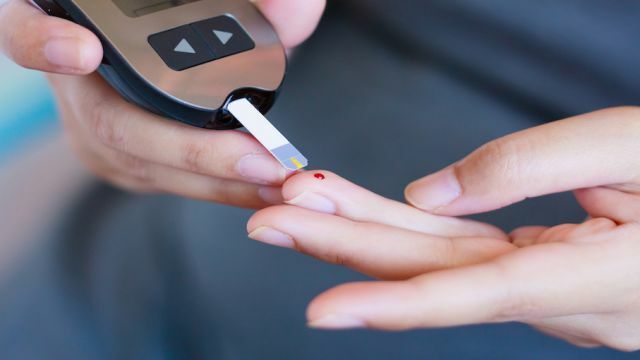 Researchers also noted that other metabolic abnormalities of type 2 diabetes were normalized or significantly improved in a very short period of time. Participants consumed a low-fat diet, lost weight and were more active. Each of these things contributed to a reduction in blood sugar and improvement in metabolic issues. This study alone indicates that it is possible to halt the progression of diabetes and normalize metabolic abnormalities. Eat plenty of veggies grown above the ground such as greens, cabbage, cauliflower, broccoli, peppers, mushrooms, etc. Eat a low carb, moderate protein, and high healthy-fat diet that includes things like raw nuts, coconut oil, avocados, and freshly caught fish. A sedentary lifestyle contributes to insulin resistance. Research shows that exercise plays a significant role in the prevention and reversal of type 2 diabetes. Aerobic and resistance training both improve insulin action and should be done regularly. The key is that exercise must be consistent to help. Perhaps you have heard that skipping meals will result in disaster for your weight loss journey. In reality, intermittent fasting is actually a great way to speed up metabolism and melt stubborn fat. While there are a number of different ways that you can practice intermittent fasting, the most common is to eat all meals during a specific time of the day such as between noon and 8 pm. This results in a 16 hour fasting period which helps your body dig into fat stores for energy, thus burning more fat. Studies show that intermittent fasting is an effective tool for weight loss in obese people and can also lower insulin production. Both of these things reduce the risk of type 2 diabetes. Just be sure that you don’t use intermittent fasting as an excuse to eat unhealthy food during your eating period. There you have it. Three things we can all do now to reduce our risk of and even reverse type 2 diabetes, eat better, eat less often and move more! Are you ready? Hey Buddy!, I found this information for you: "3 Things You Can do NOW to Prevent and Reverse Diabetes". Here is the website link: https://www.thealternativedaily.com/things-you-can-do-prevent-reverse-diabetes/. Thank you.